We're having a celebration of food for cooks who love to eat well—and eat smart! Weight Watchers cookbooks are trusted by anyone who is excited about cooking delicious, healthy food. And with the more than 280 recipes in Weight Watchers 50th Anniversary Cookbook, healthy cooks (and anyone who aspires to be one!) everywhere now have the opportunity to sample a collection of many treasured favorites. These delicious dishes have been updated, featuring fresh ingredients, how-to tips, Weight Watchers lore, and nutritional info and PointsPlus® values for the newest program, Weight Watchers 360°. 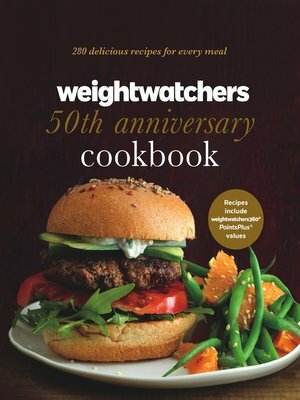 Weight Watchers 50th Anniversary Cookbook is a great resource, whether you're in search of a quick-fix dinner for tonight or planning a week's worth of menus. Every single recipe works like a charm and tastes great!